Britain’s Prince William and Prince Harry have revealed they talked to their mother Princess Diana on the day she died and that the “short” conversation now weighs “heavily” on their mind. “It was her speaking from Paris, I can’t really necessarily remember what I said but all I do remember is probably regretting for the rest of my life how short the phone call was,” Prince Harry told ITV for a documentary to commemorate their mother. Prince William was just 15 and his brother Harry 12 when their mother and her boyfriend Dodi Al-Fayed were killed in August 1997 after the car they were in crashed in a tunnel in central Paris as it was being pursued at high speed by press photographers. The two princes were in Balmoral, the queen’s residence in the Scottish Highlands, and William had earlier told Diana of the “very good time” they were having. “Harry and I were in a desperate rush to say goodbye, you know ‘see you later’…if I’d known now obviously what was going to happen I wouldn’t have been so blase about it and everything else,” William told ITV. But in “Diana, Our mother: her Life and Legacy” — to be aired in the UK on Monday — the princes also open up about happier moments, when she would pick them up from school and take them on secret trips around London. They paint the picture of a dedicated, loving and fun mother who delighted in pulling pranks on them, including inviting three of the world’s most renowned supermodels — Naomi Campbell, Cindy Crawford and Christy Turlington — to welcome William home on his birthday. “I went bright red and didn’t quite know what to say and sort of fumbled,” William told ITV. “I think I pretty much fell down the stairs on the way up”. “One of her mottoes to me was, ‘you can be as naughty as you want – just don’t get caught’. “Our mother was a kid through and through, when everybody says to me ‘so she was fun, give us an example’ all I can hear is her laugh in my head,” he added. Determined to keep her memory alive, they’ve taken to calling her “Granny Diana” around William’s children, Prince George, 4, and Princess Charlotte, 2. “It’s important that they know who she was and that she existed,” William said. 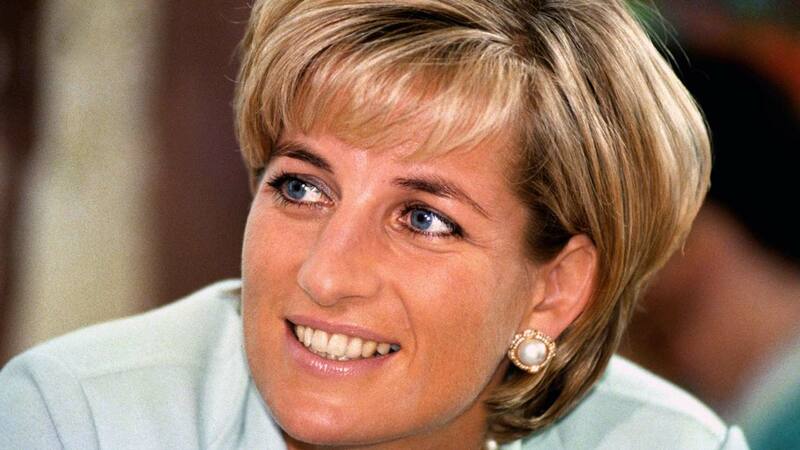 To mark the 20th anniversary of her death, the princes announced earlier this year they were setting up a committee to raise funds to pay for a statue of Diana, who was known as the Princess of Wales. The statue is to be erected in the public gardens of Kensington Palace in London, where she lived.